Is history a purposeful process with a beginning and an end, or is it a random series of events with neither purpose nor direction? If history is a guided process, are we near the end of the world? Have we almost completed preparations for the End of Days? What will happen next? When? Are we backseat passengers in this journey, or are we in the driver's seat? Daniel Friedmann takes you on a journey to discover what is really going on with Biblical eschatology and the end of the world, and to then glimpse the future and ponder the role you will play in it. History is a discipline that uses a narrative to examine and analyze a sequence of past events and to objectively postulate the patterns of cause and effect that determined them. Friedmann looks at history from the supernatural perspective. Every plan becomes suddenly evident when enough of it has played out. Have we reached the point in history where the Divine Plan of history is apparent? 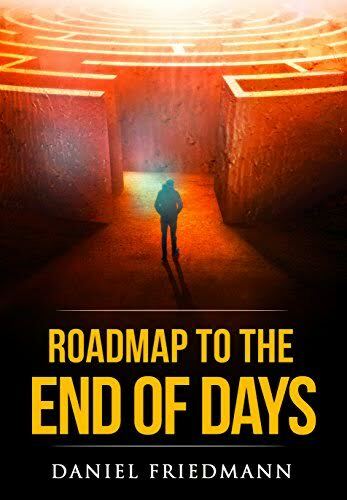 Read Roadmap to the End of Days and discover what is really going on, then glimpse the future and ponder the role you will play.